This week I have a fantastic competition to share with you: the chance to win a £50 voucher to spend at Revival Vintage. Established in 2003 we live and breathe our unique fashion business at Revival. We are a small team but what we lack in size we make up for in quality and customer care. We do not buy our men and women’s stock ‘blind’ in huge bales, we hand pick all you see but still manage to keep our prices affordable and our service personal. If you love the look of vintage style clothing we can help you create inspirational looks through our website and stores. Unlike many similar shops and websites we sell original pieces that can still give you an edgy current look. That said, if you are a decade purist, we highlight prime garments you might like to add to your collection for absolute authenticity. Revival also offers you a range of unique and quirky accessories to complete your look as well as our British manufactured handmade by gone inspired dresses. We think our retro shoulder flight and messenger bags also compliment our originals. Buy vintage clothes online from our diverse mix of dresses for day and evening, blouses, skirts, Nordic knitwear, 80s T shirts, US sweatshirts, mens waistcoats, Cosby cardigans, patterned shirts, tweed jackets and much more to enhance your individuality. As if that’s not reason enough if you love a bargain don’t forget our sale sections. We have 1 prize of a £50 gift voucher to spend at Revival Vintage. 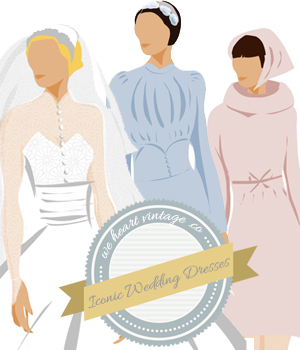 Take a look on Revival Vintage and let us know what you would ideally spend your voucher on. Just comment below telling us what you would choose. Entries close at midnight on Thursday 18th July 2013. I adore this – http://www.revivalvintage.co.uk/view/5590/Red+Betty+Boop+Messenger.html Very me! and also this cute dress http://www.revivalvintage.co.uk/view/5884/Sage+Green+Knife+Pleat+Dress.html! I’d get the Chrysanthemum Dress – so so pretty! I would get one of your lovely hates for summer …. I love the little black tie front top – so useful and versatile! This would be perfect for the 1940’s weekend I go to! Although tempted by some super cute short shorts, the fact that I live in England (with rain being the ‘weather of choice’) means that the 50s Cynthia Doll Dress would be my ideal pick! because she is very interested in vintage fashion so this website is perfect for her. I would also maybe treat myself to something on the site because there are many things i like! I love the Gina Bacconi Cocktail Dress (http://www.revivalvintage.co.uk/view/7479/Gina+Bacconi+Cocktail+Dress.html) especially as it’s my tartan!